Click on the photos below to see larger pictures. 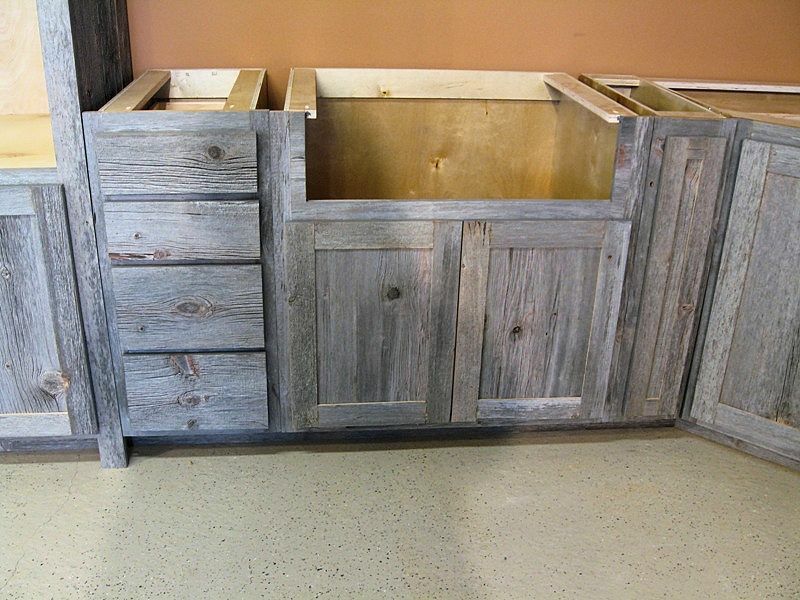 Approximate pricing on the Weathered Gray Barnwood Kitchen is $400-$650 a lineal foot. The price per lineal foot is a basic guideline. 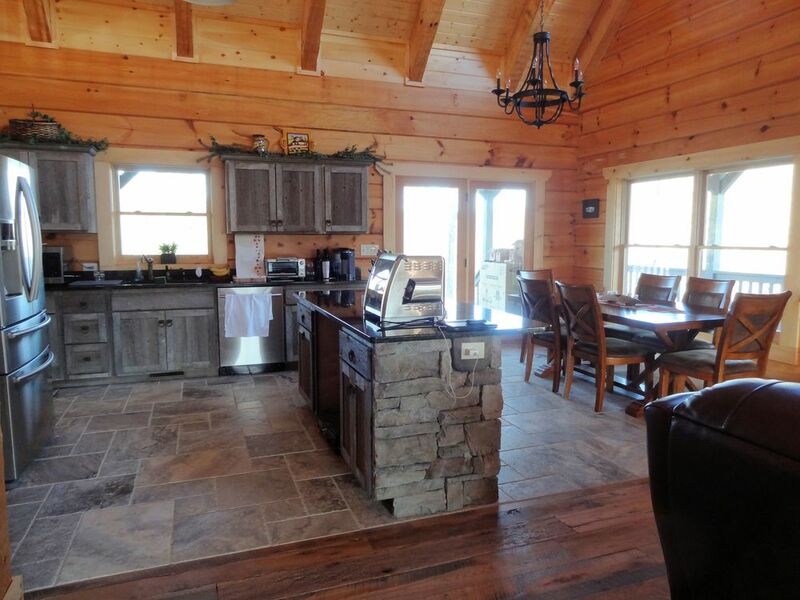 We take into account the kitchen appliances and the exact style that you are looking for. Kitchens can be made to be very simple, or they can be very detailed and fancy. We do not like to use the lineal foot calculation when we quote because it is often much higher than reality. 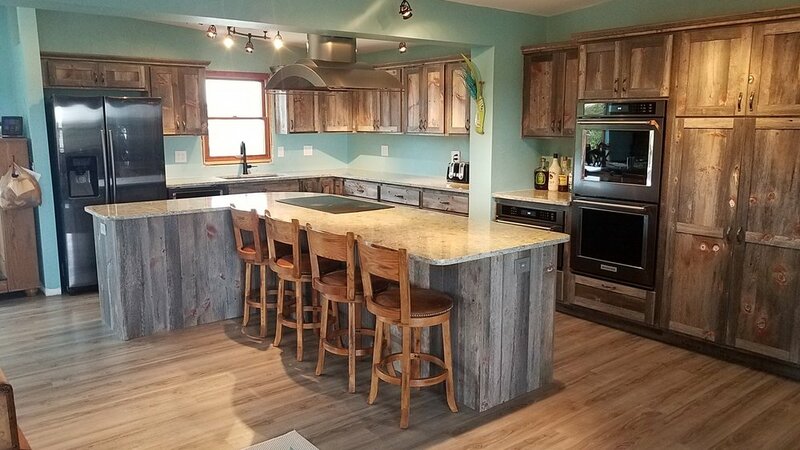 If you want to get a true, detailed quote from us, simply email us with your specifications and we can put a quote together for you that you will find is very fair and reasonable in terms of the custom kitchen industry. 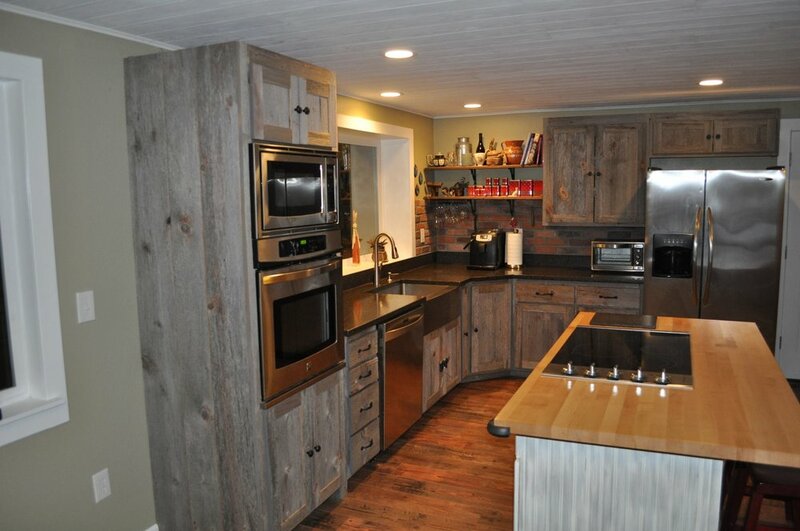 Our kitchens are designed for those who want to create a reclaimed wood kitchen that is truly unique. We go out of our way to build exactly what the customer asks. 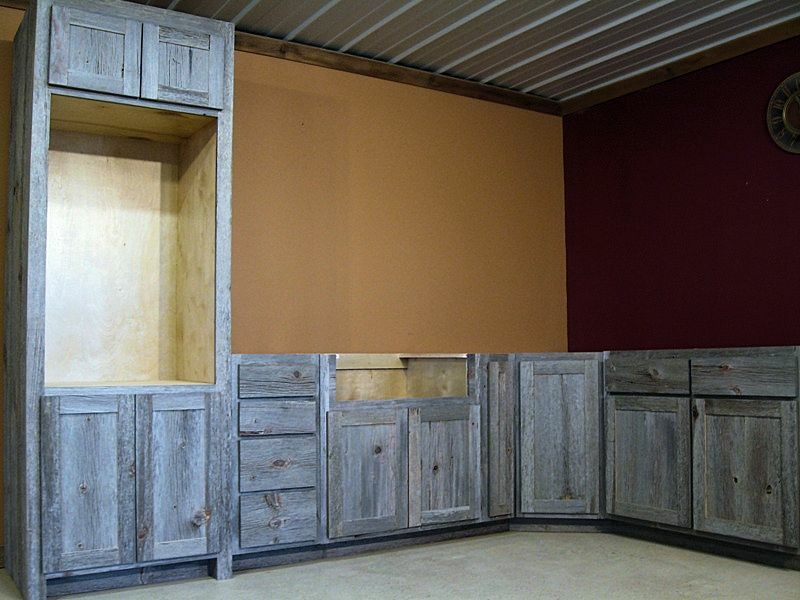 Door styles can be Shaker, Flat Panel, Raised Panel, Batton Doors (with wood strips). Samples are available either online or can be shipped for a small fee. 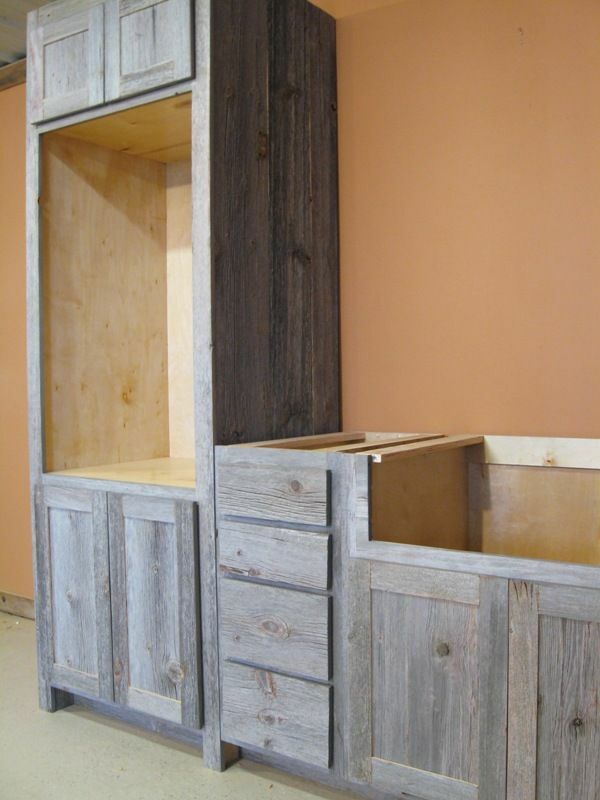 It is often not easy to find the resources to build reclaimed kitchen cabinets, especially from weathered gray reclaimed wood that is not as readily available. 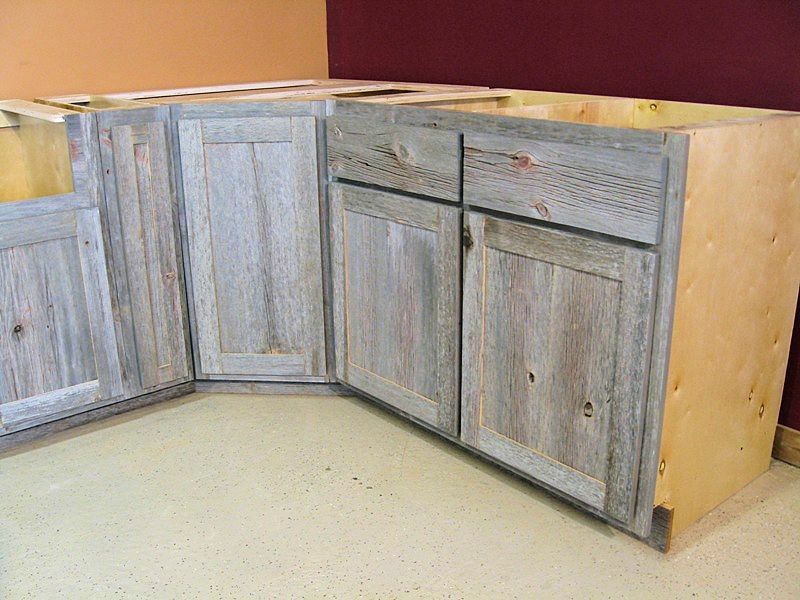 Eventually this wood will no longer exist, which further enhances the uniqueness of the cabinets that are made from it. 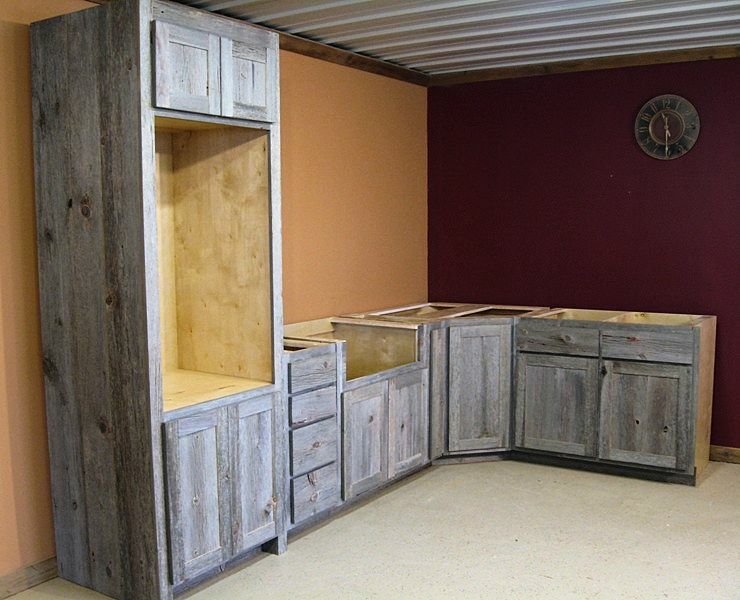 Any design is available through us here at Vienna Woodworks. 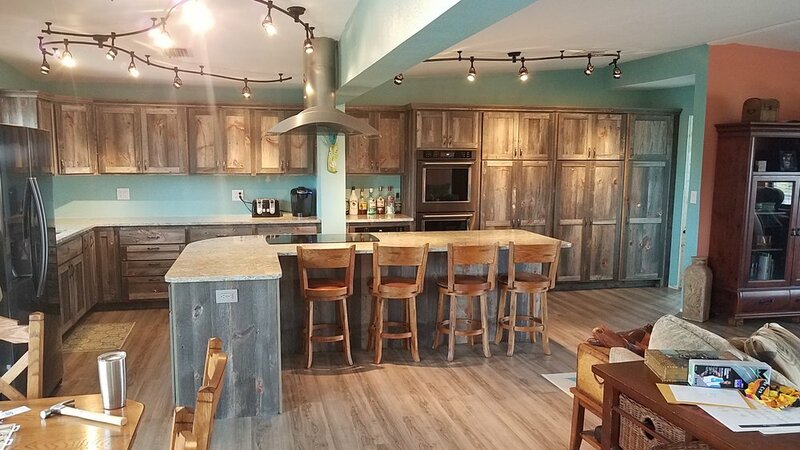 We look forward to discussing your kitchen needs in detail with you!